Two of our scholars talk about their experience of the programme. Would you like the opportunity to improve the quality of care and contribute to your professional development? NICE Scholarships are one-year opportunities to find out about the inner workings of NICE. You'd undertake a supported improvement project, related to our guidance, within a local organisation, national charity or voluntary sector organisation. View examples of potential projects (PDF) that might be suitable activities for scholars. You'll be supported in your role through a series of workshops and access to an adviser. The scholarship also provides access to the expertise of our staff. You'll be expected to spend around 7.5 hours per week on your project. Scholarships are unpaid and you must agree your application with your employer. Travel and subsistence will be paid. those working in the charitable and voluntary sector. They've a wealth of experience in health and social care and in working with NICE. The senior advisers provide expert support to our scholars and act as a key link person between them and NICE. 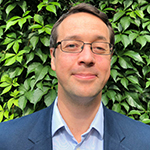 Andy is an upper gastrointestinal surgical registrar with a specialist interest in bariatric and metabolic surgery in Kent, Surrey & Sussex (West). He has been a member of the Royal College of Surgeons of England since 2011. 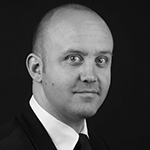 Andy has trained at major centres in London and the South East and also in Adelaide, South Australia. He has completed a PhD in surgical innovation at Imperial College London. Andy has developed an interest in the use of routinely-collected national datasets to analyse process and outcome measures for patients undergoing surgery. Metabolic surgery has been recommended by NICE as a highly cost-effective treatment for patients with type 2 diabetes and obesity. 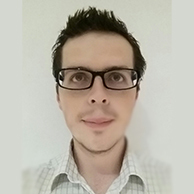 As a NICE scholar, Andy will be using datasets to analyse how the use of metabolic surgery for diabetes varies across the NHS in Kent, Surrey & Sussex. He will analyse and feedback this information to clinicians and commissioners across the region to potentially guide local quality improvement initiatives. Annabel graduated from King’s College London in 2005 and undertakes her obstetrics and gynaecology training in South London. She is completing her final year of training at Guy’s and St Thomas’ NHS Trust. Her specialist clinical interests are intrapartum care and maternal medicine. In preparation for progression to a consultant role, she has sought to expand her training by learning more about the components of clinical governance and has applied for the NICE scholarship to facilitate and enhance participation in audit and delivery of evidence-based care. 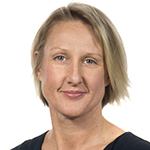 Annabel will spend her time as a NICE scholar focusing on the implementation of our new guidance on intrapartum care for women with existing medical conditions or obstetric complications and their babies. The project will explore how national guidance can be applied to an individual organisation and seeks to determine what factors may influence the adoption of guidance. Annabel aims to inform service provision and quality improvement initiatives in her organisation and by producing a report of her experience, she will share best practice and lessons learnt with the local maternity system and wider service providers. David is a public health practitioner working for Lincolnshire County Council's public health team. He’s been working in local government for 15 years. In his current role as programme manager of a strategy and performance team, he is responsible for a number of programmes of work including the development of the Joint Health and Wellbeing Strategy for Lincolnshire. David also provides strategic performance support to local authority public health commissioned services and has a lead role for workforce development within the public health team. As part of this, he has worked with Public Health England on the implementation of the public health skills and knowledge framework as well as being a member of the public health practitioner apprenticeship trailblazer group. Whilst David has experience of working with a range of NICE guidance in his current performance role, he is keen to gain a greater depth of knowledge regarding decision making and application of our guidance within a workplace setting. As a NICE scholar, he’ll be working with colleagues across the local authority to review all HR policies to identify, assess, prioritise and implement, where appropriate, all relevant NICE guidance regarding workplace health and wellbeing. 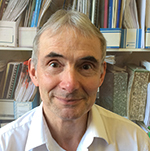 Howard is an NIHR doctoral research fellow at the University of Oxford and an honorary consultant forensic psychiatrist with Oxford Health NHS Foundation Trust. He is currently undertaking a DPhil exploring the measurement of outcomes in forensic mental health services. He is passionate about applying research to improve quality of care. He has experience of leading projects at a regional, national and international level through a variety of roles. He completed a National Medical Directors’ Clinical Fellowship at the Academy of Medical Royal Colleges and a Darzi Fellowship at Health Education North Central and East London. He has also chaired the psychiatric trainees’ committee at the Royal College of Psychiatrists and is a past president of the European Federation of Psychiatric Trainees. As a NICE scholar, Howard will be assessing the evidence for the most commonly cited outcome measures used in forensic mental health services. He will use this information to feedback to a range of stakeholders, including patients, carers, clinicians, providers and commissioners, about the most robust, evidence-based methods for measuring outcomes in this population. Jonathan is the business intelligence lead for adult social care in the London Borough of Harrow. He works with social care managers and staff to understand how changes to systems and services can improve the resilience and independence of people who use services and their carers. During a secondment to NHS Digital in 2014, Jonathan led development of the data collection of adult social care activity in England (known as SALT) followed by two years advising on its use and further development with the Department of Health and Social Care. He is active in various national groups such as the Economic and Social Research Business and Local Government Data Research Centre Advisory Board. He has previously advised several Department of Health sponsored research projects. Recently, Jonathan was a member of our guideline committee on the experience of people who use services (NG86) and is currently serving as an expert advisor for NICE. 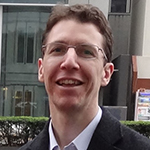 As a scholar, Jonathan will evaluate implementation of the NICE user experience guideline in a new social care pathway being launched in Harrow. He’ll work with managers and staff to understand the practical challenges of implementing the recommendations as well as the benefits to people who use services, through pre- and post- surveys. Mike qualified as a pharmacist in 1978 from Manchester University. Most of his professional career has been in hospital pharmacy, and in primary care working for a variety of organisations in Cornwall ranging from the Family Health Service Authority to Clinical Commissioning Group. He has undertaken various post graduate qualifications. He’s been involved with the National Prescribing Centre and now as a NICE Medicines and Prescribing Associate. As a NICE scholar, Mike will undertake a project to assess the implementation of our guidance on multimorbidity. In particular how the increasing focus on polypharmacy and deprescribing can be enacted in a hospital setting. Working with the support of the hospital’s eldercare team and pharmacy team, he will be reviewing how this guidance is enacted currently and supporting the implementation of an evidence-based approach to deprescribing throughout the acute trust. Olivia is a medical oncology specialist registrar. She’s currently undertaking an ADEPT fellowship in Northern Ireland to develop her leadership and managerial skills. As part of her current role, she is involved in the transformation project within oncology. She has co-designed treatment pathways to deliver chemotherapy closer to the patient and improve the patient experience. She has a strong personal aspiration for innovation and change, having recently completed the Scottish Coaching for Leadership and Improvement programme to enhance her skills in optimising patient care and patient safety. She was a core member of the multi-professional quality improvement team. This prioritised the safe assessment and prescribing of chemotherapy through the introduction of an electronic assessment pro-forma. This project won first prize at the UK Patient Safety Congress in July 2018. As a NICE scholar, Olivia is hoping to implement patient reported outcome measures (PROMs) into oncology clinics using an app based system. This electronic reporting system strives to improve the early recognition and management of treatment toxicities, as well as reduce the number of hospital and emergency admissions and improve the patient experience. The results of this pilot project will enhance the NICE evidence base for the importance of PROMs in clinical practice. 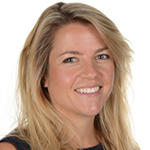 Sophie is a clinical psychologist and senior research fellow at the UCL Great Ormond Street Institute of Child Health. She has an interest in improving the quality of mental health care for children through ensuring equitable access to evidence-based mental health treatment. She completed a Ph.D. on the use of self-help interventions in children and young people with mental health difficulties in the context of chronic neurological conditions. Her clinical and research work have focused on the use of ‘low intensity’ therapies to maximise access to mental health treatment. Sophie’s scholarship work will investigate the use of online forums for parents of children with mental health difficulties as a way of providing information about evidence-based treatments recommended by NICE. Due to the well-recognised difficulties in accessing child and adolescent mental health services nationally, many parents turn to online communities for advice and support. There is therefore huge potential for widespread dissemination online of evidence-based practice and the NICE guidance for mental health difficulties. Sophy graduated from the University of Sheffield in 2008. 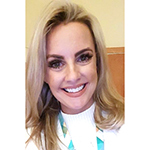 She stayed in Yorkshire to complete a dental foundation training in General Dental Practice, Oral and Maxillofacial Surgery and Paediatric Dentistry. From 2011 to 2014 she completed specialty training in orthodontics in Leeds and Wakefield. Sophy started senior registrar training in 2014 but paused training to complete an NIHR Doctoral Research Fellowship. Her PhD focussed on adolescent and parent decision-making and preferences for dental treatment for a specific dental development anomaly. This work fostered an interest in shared decision-making and quality improvement in healthcare through greater patient participation. As a NICE scholar, Sophy will work with patients and dental professionals to establish current decision-making practice and awareness of shared-decision making processes. She will use a combination of patient experience feedback, clinician questionnaires and focus groups. Sophy will offer online and face-to-face training in shared decision-making for clinicians who are interested in learning more. The project aims to identify barriers to shared decision-making and scope for changing practice, while raising awareness and promoting a positive attitude to shared decision-making. 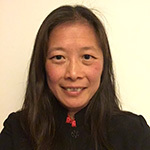 Victoria is an advanced physiotherapy practitioner at the Salford Care Organisation. She graduated from Bristol in 1999 and soon specialised in musculoskeletal physiotherapy. Her advanced practice is complimented by a Trauma & Orthopaedics MSc. With experience of working in fracture clinics she started work at Salford in 2014, employed to set up a Virtual Fracture Clinic. She has a keen interest in service re-design through innovation and pathway development, particularly between orthopaedics and the emergency department. She has presented her work at Chartered Society of Physiotherapy and British Orthopaedic Association conferences. As a NICE scholar, Victoria hopes to assess the implementation of our guidance for non-complex wrist fractures at Salford Royal Hospital. By collating real world data on this diverse population and evaluating the variation in current practice she hopes to gain a better understanding of local practice. She can then identify and test areas where improvement can be made. It is hoped that this can be shared with other trusts in order to obtain a national picture in conjunction with new evidence as it unfolds. Mark graduated from Leicester University in 2008 and completed his foundation training in North London. He undertook paediatric training in South London and has been a member of the RCPCH since 2013. He is a general paediatrician with a particular interest in ambulatory and integrated care and the use of IT and data in healthcare. As a senior trainee he has become increasingly involved in service development and has led projects in a variety of settings. In 2018 he was appointed as a Service Improvement Fellow at the Evelina London Children’s Hospital. 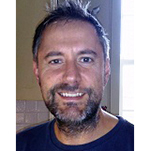 As a NICE Scholar Mark will undertake a project to assess the implementation of our guidance on asthma, and the associated quality standards in children and young people across primary and secondary care in Lambeth and Southwark. He will evaluate the variability of implementation across population groups and different healthcare settings. By developing a better understanding of the local system and exploring this variation he will identify areas where improvements can be made. Roz qualified as a Pharmacist in 2008 after graduating with a first class MPharm degree. She is the Director of Pharmacy for Addaction, a national third sector organisation. As the organisation’s professional lead for Pharmacy, she manages the National Medicines Management Team. She also holds the position of Medicines Safety Officer, Controlled Drug Accountable Officer and Responsible Person for Home Office licences. She has previously worked predominantly in NHS secondary care services and has undertaken various post graduate qualifications, specialising in psychiatry and substance misuse. Roz is currently the Registrar for the College of Mental Health Pharmacy and a credentialed member. She is an accredited RCGP trainer for their Drug and Alcohol Certificates and occasionally locums in community pharmacies. She is an independent non-medical prescriber specialising in substance misuse, has contributed to CPPE publications and reviewed text book chapters on substance misuse for Oxford University Press. 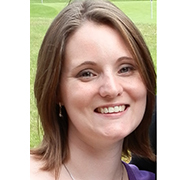 Roz has worked as a Consultant for the Choice and Medication website and is on the Editorial Board of Clinical Pharmacist. Roz has been a pharmacist topic expert for NICE, and is now serving a three year term as an expert advisor. As a NICE scholar, she’ll be focusing on medicines optimisation in opioid substitute treatment, to help us and Addaction to continue to improve the quality of care delivery in substance misuse services. Alisa is a Physiotherapist based in London and works as a Neuro Navigator for Guy’s and St Thomas’ NHS Foundation Trust. Prior to moving to the United Kingdom she was involved in developing South Australia’s state-wide acute stroke pathway. Since moving to London she has developed a successful Admission Avoidance Team and a Hospital At Home Service with the Royal London Hospital and community services. Alisa is passionate about making community services innovative, efficient and sustainable in order to enhance health and social care outcomes. She works with complex neurological patients and their families to ensure each patient is receiving the right therapy, at the right time and in the right place. Navigating patients through the pathway; from the acute hospital, to inpatient neuro-rehabilitation units, and into the community, has highlighted inequalities and variability in community based neuro-rehabilitation across South East London. 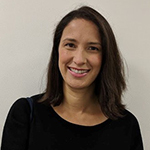 As a NICE Scholar, Alisa will be reviewing community neuro-rehabilitation services across South East London, and comparing them with the NICE recommendations in Traumatic Brain Injury. She hopes the scholarship will engage the various Clinical Commissioning Groups, NHS Trusts, Local Authorities and third sector organisations to raise standards of practice in order to meet NICE guidance, if inequality or areas of improvement are identified. David started his career as a lecturer in economics, worked next in local government and Pricewaterhouse Coopers on economic and inner city regeneration. He set up a small venture capital company and, following research with the Joseph Rowntree Foundation, worked as a consultant in community development. David chaired Bassetlaw PCT, was an independent member of the Local Government and Social Care Ombudsman commission and has been a patient and public representative on our diabetes prevention and management guidelines update committees. Currently, he is a non-executive director, trustee, lay member or patient representative with two charities, two public/private partnerships, NHS England, NIHR, a local Patient Participation Group and a community group in the Wirral. The work is on children with SEND, vulnerable older people, primary care research, clinical trials and place based commissioning. David’s scholarship work will focus on shared decision making. He will bring a fresh perspective to the Shared Decision Making Collaborative. Roshelle is a child and adolescent consultant psychiatrist who divides her time clinically working in a CAMHS service in Oldham and as a training programme director in psychiatry in the north west working with Health Education England. Roshelle has also completed her masters in health and public leadership from Manchester Business School and the University of Birmingham whilst she was on the 1st cohort of the North West Medical Leadership Programme. In addition, she holds a postgraduate diploma in psychiatry from The University of Manchester. Roshelle has a special interest in neurodevelopmental disorders in children and emotional disorders in older adolescents. She has explored newer psychological approaches and innovatively led quality improvement projects to embed these approaches locally. Roshelle has initiated and led regional and national level projects such as the Autumn foundation school in psychiatry that inspired and encouraged high recruitment in psychiatry. As a NICE scholar, Roshelle will be undertaking an implementation project to ensure that NICE Guideline (NG87) Attention deficit hyperactivity disorder: diagnosis and management is being implemented within Pennine Care NHS Foundation Trust. She also intends to encourage implementation by creating awareness regionally across Greater Manchester through the Strategic Clinical Networks, and nationally in health, education, social care and the public. Mr Sanjay Rao is a consultant obstetrician and gynaecologist working at the James Cook University Hospital, South Tees NHS Foundation Trust since 2010. He is an honorary senior clinical lecturer at the Newcastle University and training programme director at the Northern Deanery. He has completed a masters in clinical education from Plymouth University. Sanjay has a lead role as speciality college tutor for postgraduate education and medical appraiser at South Tees. He is a principal investigator for multicentric research trials and actively contributes to the research portfolio in his unit. As a NICE scholar, Sanjay will review management plans, individual preferences and factors influencing the clinical approach for symptomatic uterine fibroids. The options include medical management with ulipristal acetate, gonadotrophins, levonorgestrel intra-uterine system, embolization and surgical intervention. This project will review the level of compliance to NICE recommendations and reasons for deviation from benchmarked standards, taking into account the recent MHRA safety measures in regard to the use of ulipristal acetate. Katie is a Medical Research Council doctoral clinical fellow. She’s currently undertaking a PhD investigating how we use palliative radiotherapy across the NHS in England and whether current, and possible future, treatments are cost-effective. This work involves combining both the benefits and costs of treatment within an economic model, alongside using routinely collected clinical data to assess how treatments are currently used. As a NICE scholar she will use the National Radiotherapy Dataset to investigate how palliative radiotherapy treatment patterns for bone metastases vary across the NHS. She’ll use this information to provide feedback to clinicians to help them to understand how their practise compares to that of their peers and consider if cost-effectiveness can be improved. Elaine is a thoracic-themed cardiothoracic trainee based in the Southwest deanery. She is passionate about all aspects of thoracic surgery, especially lung cancer surgery, from endoscopic, minimally invasive to maximally invasive and complex surgery. As she continues to progress she is expanding her training to focus on not just individual patient, but understanding the bigger picture in patient care and pathways. As a NICE scholar, she will explore how the National Optimal Lung Cancer Pathway, especially the pathway for patients with curative intent management, can be implemented in her local multidisciplinary team (MDT). She will assess the various steps in the pathway. Subsequently, working in collaboration with physicians and local MDT co-ordinators, she’ll examine where efficiencies and improvement could be made, with the ultimate aim of a faster and more standardised approach for all lung cancer patients. Avril graduated from the Robert Gordon University in 2005 with a degree in pharmacy. She started her career in community pharmacy and worked as a pharmacy branch manager for 9 years. In 2010, she completed her post graduate diploma in clinical pharmacy from the Robert Gordon University and, in 2015, completed a clinical infection therapy course at Swansea University. Shortly after this, she was appointed as a primary care antimicrobial pharmacist – the first role of its kind in Wales. Avril qualified as a non-medical independent prescriber in 2017. She specialises in infections of the ear, throat and urinary tract. Avril currently sits on the All Wales Antimicrobial Pharmacist Group and the Welsh Antimicrobial Resistance Delivery Group. She is also a NICE committee member for the management of common infections prescribing guidance. In addition, Avril is the founding member of Supporting Wales with Antibiotics in Primary Care (SWAP), a group aiming to empower and equip primary care pharmacists to embed effective antimicrobial stewardship in every GP cluster in Wales. As a NICE scholar, Avril is hoping to use her SWAP network to establish a national project aiming to improve patient outcomes for those with recurrent urinary tract infections. This will be done through demonstrating the role primary care pharmacists can have in implementing NICE guidance and quality standards within general practice. Are current guidelines crowding out patient benefit? Guidelines for new patient oral health assessment can take 40 minutes. If followed rigidly this would leave no time for treatment. Guidelines for treatment planning assume patient engagement with little, or no, advice for what to do for patients that do not engage. Guidelines for permitted treatment restrict some dental treatments and primary prevention to children, e.g. fissure sealants but prison lifestyle causes these issues in adults. Increased regulation, discourages divergence from current guidelines even though they are inappropriate for many prisoners. The Statement of Dental Remuneration (SDR) is the Scottish NHS guideline for permitted treatment. It is administered by NHS National Services Scotland (NSS). Andrew has presented his finding to NSS and they agree that the narratives and provisos of the SDR do not apply for prisons so will now allow full clinical freedom to provide prevention and treatment not usually permitted for adults. After presenting to Deputy Chief Dental Officer (DCDO), the CDO will write to Clinical Directors within the Public Dental Service to formalise the agreement. As well as a range of meetings with a whole host of influential individuals Andrew has presented at several national conferences. Andrew plans to continue to use his work to influence change post the Scholarship. For example, he has arranged meetings with the British Dental Association Prison Lead, the Chief Dental Officer for England and their lead for vulnerable groups. Karen developed a data collection tool for nominated leads to complete that looked at whether SET’s policies and processes around managing NICE guidance were being adhered to. She also identified the governance facilitators that receive the highest volume of guidelines. Karen met with them to assess their internal processes and cross reference findings within the SET policy and selected recommendations from NICE’s into practice guide. 11 out of 12 areas across the trust returned the tool. 10% of areas were unaware that they could consult upon draft guidelines via SET’s nominated stakeholder 27% were not aware of who the nominated stakeholder was and 55% were not aware of the NICE into practice guide. In terms of adherence, 82% of leads disseminated new guidance to the relevant lead with 1 week. A SharePoint system was introduced to streamline processes, pulling all relevant information together in one central repository for each guideline. Staff can also view a database which details compliance across the entire region. All DoH bi monthly assurance templates are now completed electronically. The system shows which guidelines have been recently released, those out for consultation and those in development over the next quarter. The system has been well accepted and accessed widely. Karen is arranging a session with the 12 directorates and NICE field team in an attempt to challenge negative attitudes to NICE that came out of the survey. How are the voluntary, community and social enterprise (VCSE sector) using NG32 older people: independence and mental wellbeing? Katie quickly found that the VCSE sector in Bristol were not using NG32 and very few of them had used any NICE guidance. The project was then adapted to look at evidence based practice in the VCSE. Katie carried out a series of interviews and was able to use these to highlight how NICE guidance might support the work of these organisations. Katie has arranged an event for VCSE to increase their knowledge of how and why to use NICE products, which the field team will attend. She has already run an event for colleagues within Bristol City Council (15 attendees) to disseminate the learning. Katie is setting up a meeting between NICE and the Public Health leadership team. The adult social care team have also expressed an interest in meeting with NICE. Katie has used Grounded Theory to analyse the data and has produced a report which she hopes to publish. Katie has found that in a changing local health and social care system, public health teams need to reconsider how and where they are best placed to improve and protect the health of the population they serve. Public health teams need to refocus from traditional roles as deliverers and commissioners to becoming enablers and facilitators. VCSE organisations are ideally placed to reach those most likely to have the poorest health and it is recommended that the role of public health teams should include supporting the VCSE sector to understand how to identify and implement EBP, measure the impact of their services and develop health promoting practices. Additionally, developing relationships with VCSE organisations can facilitate a sharing of their expertise and intelligence into and across the health and social care system. Lavanya’s project assessed existing services for paediatric allergy within the West Midlands (WM) and ascertained parent preferences for the delivery of services in the region. NICE guidance discusses recognising symptoms of food allergy and lays out the situations in which referral to secondary care would be appropriate. However, the pathways for service delivery in the WM region are not well defined, which can pose problems for the implementation of this and other guidelines in the region. Paediatricians were surveyed online using SurveyMonkey. To understand the preferences of end users for specialist services, a discrete choice experiment (DCE) was carried out. 4 pilots were carried out to finalise the questions. An unselected sample of 10,000 parents in the region were sent a weblink to the questionnaire and results were analysed using Stata 14 software. 11 out of 15 trusts offering paediatric allergy services responded. Pathways varied considerably. There were 280 parents that completed the discrete choice experiment in its entirety. Parent preferences were for a consultation with a consultant trained in allergy then for a specialist nurse rather than a consultant not trained in allergy. Parents would like to see improved online information through websites like NHS Choices in preference to written or verbal information. Respondents preferred to have supportive care (dietician/dermatology nurse) within the same clinic appointment. It is hoped that the output from the DCE can be combined with the survey of physicians and data from primary and secondary care database analyses to propose a decision analytical model that can be used to estimate the cost effectiveness of various pathways for delivery of allergy services. The project was led by Min as a Primary Care Pharmacist in a GP practice and looked at the effect on antibiotic prescribing of moving from an ordinary GP practice model to a clinician-first telephone triage system. The project used sampling and collected data over a 3 month period. The audit showed that the telephone triage system had not impacted the quality or quantity of antibiotics prescribed. Diagnosis, advice and rationale were sometimes missing on a patient’s record. There was a lack of delayed antibiotic prescribing and duration of liquid antibiotics was not clearly stated. A high proportion of antibiotics were prescribed for 7 days, which is not in line with guidance. Findings were shared with prescribers within the practice and the CCG Antibiotics Stewardship Group. A default duration was also added to the IT system for commonly used antibiotics. A re-audit presented a 27% reduction in 7 day prescribing and a 22% increase in 5 day prescribing. The local CCG is now looking to support all practices to adjust default prescribing duration for commonly used antibiotics. Nicola determined the extent to which there is variation in compliance with quality statement 35:5. She did this by auditing the proportion of women with pre-eclampsia that are managed with inpatient or outpatient care across South Thames Deanery, Kent Surrey and Sussex. Stakeholder focus groups were used to explore the reasons for variation. Women’s views in relation to adherence were explored using a patient and public questionnaire. Results showed a large variation in how women were managed ranging from predominantly outpatients to all women treated as inpatients. The focus group of 32 participants (10 consultants, 6 midwives, 2 medical physicians, 7 senior and 5 junior trainees) felt that clinician experience rather than NICE guidance informed decision making. Women’s preferences were highlighted as important but this was challenged by others who felt that the evidence for being able to predict severe events based on symptoms was poor. All agreed unanimously that they would be unlikely to change practice until further research identified who was at greatest risk and this was used to update NICE guidance. Despite patient preference being cited as a reason for deviating from guidance, most women reported not feeling involved in the decision-making regarding where their care occurs. Results will be fed back to the NICE hypertension committee in May 2018. Rebecca worked with surgical teams in Leeds to determine the key combinations of surgical codes of interest and to discuss the most appropriate way to examine variation using routine data. Due to delays in accessing the ovarian cancer dataset, methodologies were tested using a colorectal cancer dataset. The extent of variation in surgical management of colorectal cancer in relation to age was examined. 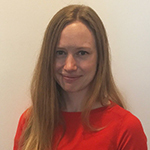 Rebecca Hall has been working on Health Catch Up (HCU), a tool which can be used by patients or clinicians to promote evidence based screening with a focus on those who were born or lived abroad in primary care. It offers holistic screening to those most at risk and that are not currently reached by screening methods, such as online sexual health clinics. Test recommendations are based on patient characteristics such as age, gender, ethnicity, BMI, country of birth and having lived abroad for more than six months. IT also considers recent testing to prevent over-testing. Screening tests include HBA1c, rubella, haemoglobinopathy, HIV, Hep B, Hep C, latent TB and cholesterol. They are mainly based on NICE guidelines or Public Health England recommendations. To date, the development of a clinical based algorithm is complete and is currently being integrated into the website that can be utilised by patients to request evidence based screening. A clinical tool version has been significantly upgraded to prompt clinicians to offer testing as part of new patient registration, NHS Health checks or opportunistically. Implementing NICE guidelines on contraception – what is the reality? Richard designed 2 surveys about implementing NICE guidelines on contraceptive provision. One survey was for practitioners, such as GPs/ practice nurses and doctors/nurses in sexual health services. The other was for sexual health commissioners – both groups based in London. The surveys were piloted with commissioners and practitioners and modifications made before going live. The surveys used a SurveyMonkey platform and were disseminated by email and social media. The majority of contraception in London is commissioned by local authorities from GPs and sexual health services. Male and female sterilisation is commissioned by Clinical Commissioning Groups. Structural, financial and relationship issues with providers were cited as barriers to effective commissioning. Results showed that clinicians offer a full range of contraception but are impeded by a lack of knowledge, confidence and training in some methods. LARC is a popular choice but more education and training is needed. Clinicians valued training more than incentives.